5-year-old Dakota Pitts lost his beloved father, officer Rob Pitts who was killed in the line of duty, and could not bare to go back to school alone. 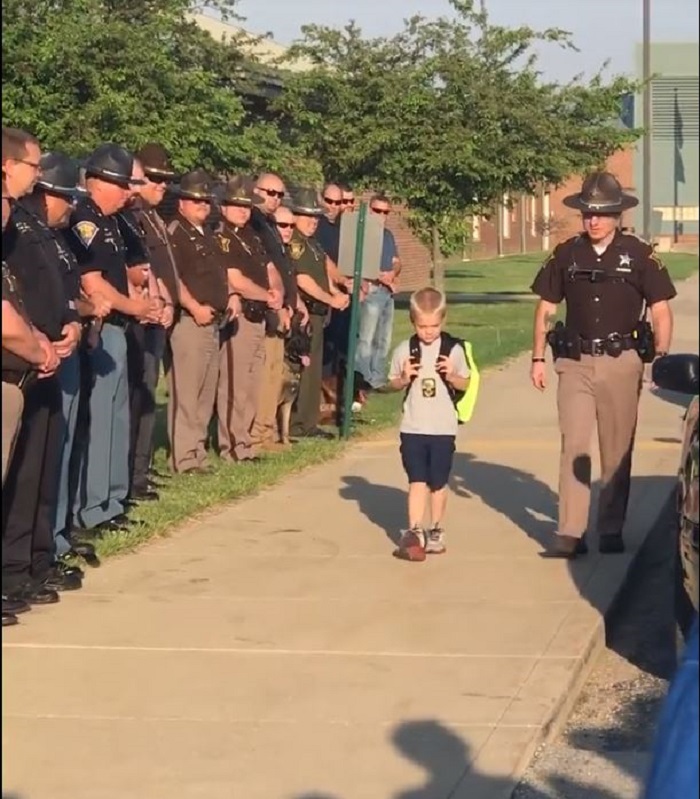 In a moving tribute Dakota definitely was not alone when he went back to schools thanks to 70 of Indiana's finest who walked beside him. Amazing! It is a difficult time for 5-year-old Dakota Pitts who lost his father, officer Rob Pitts, earlier this month in the line of duty. After losing his father, who was a veteran officer in the Terre Haute police department, Dakota had to face going back to school without his dad beside him. To ease his return to school, Dakota asked his mother if she could ask one of her late husband's fellow police officers to walk with him to school so he won't be alone. Dakota's mom contacted Indiana's finest and asked if one of them could take Dakota to school like he wanted. Both mother and son could not have imagined the outpour of support they got when not just one, but 70 men in uniforms showed up to take Dakota back to school for the first time after his father was killed. 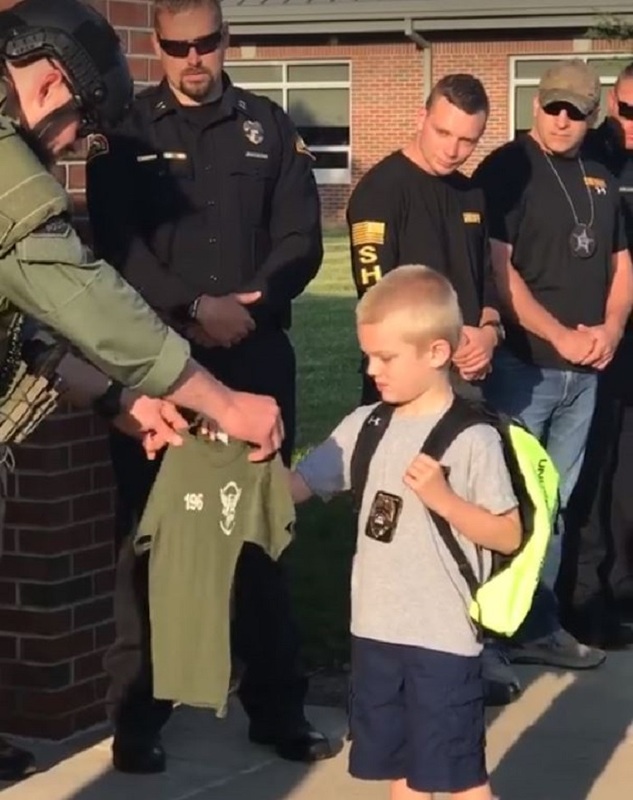 The police officers lined up together, greeting Dakota on his return to the school bench, and a member of the SWAT team even gave the 5-year-old a customized t-shirt of the unit. 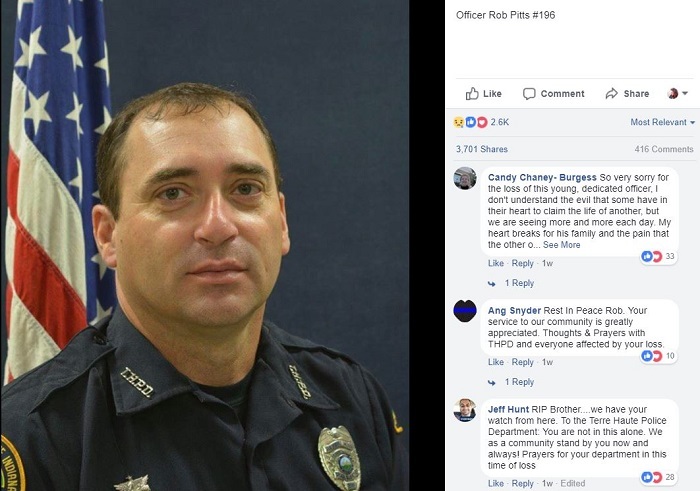 Rob Pitts' sister was quoted as saying "He will definitely know his dad was a hero, Blood doesn't always make family and I think the blue family went above and beyond", and we could not agree more.